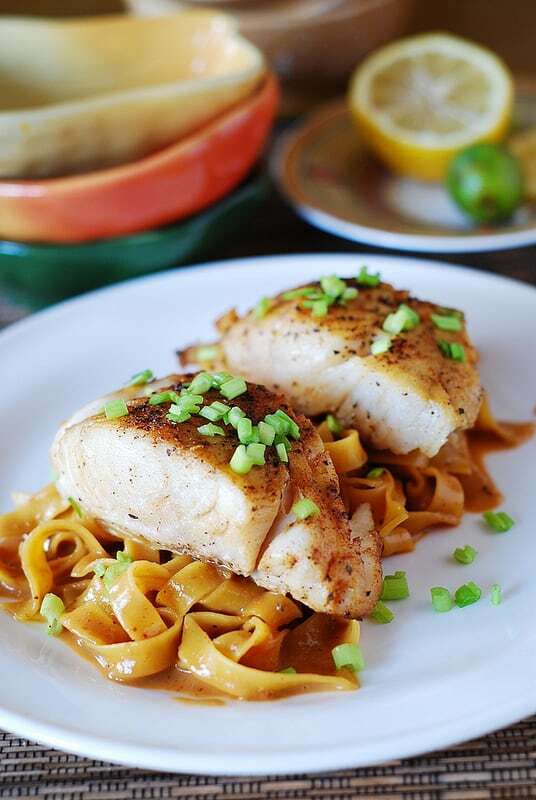 Asian fish and peanut sauce noodles – easy dinner recipe. 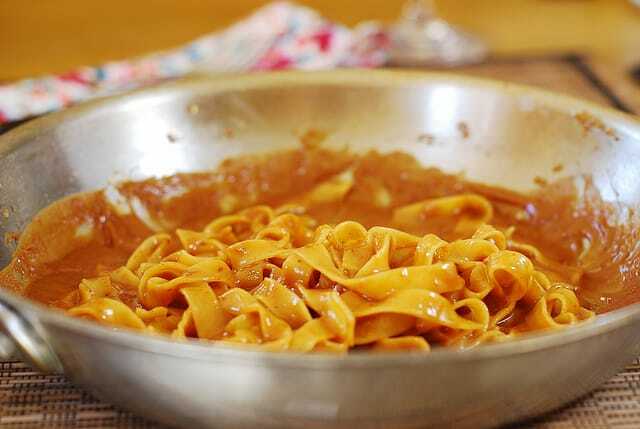 Here I cooked black cod fish and combined it with fettuccine noodles coated with the homemade peanut sauce. Everything is made from scratch. The peanut sauce here is very simple and is somewhat of a cross between Pad Thai and drunken noodles. Then, the only thing you have left to do is to sear fish fillets on very high heat and make a very simple and quick glaze to pour over the fish. Searing the fish is very easy as long as you get your skillet really hot. Only when the skillet is very hot do you add a couple of tablespoons of olive oil, which should immediately sizzle and even smoke a bit. Then you add fish fillets seasoned with salt and pepper, without crowding them, and sear for about 2 minutes on each side. What’s great about this recipe is that you are not limited to a certain type of white fleshed fish. 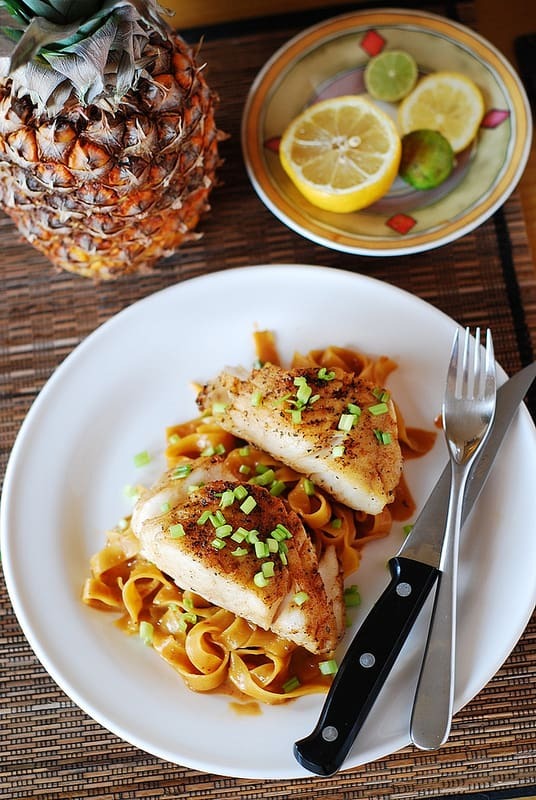 I cooked black cod for this recipe, which is what you see on these photos – because I have lots of it in my freezer, and I find black cod to be very forgiving and impossible to screw up while cooking: it’s a very flaky and buttery fish, and it does not dry out easily. But, in reality, you can use any other white fish such as tilapia, sea bass, halibut, mahi mahi, etc. 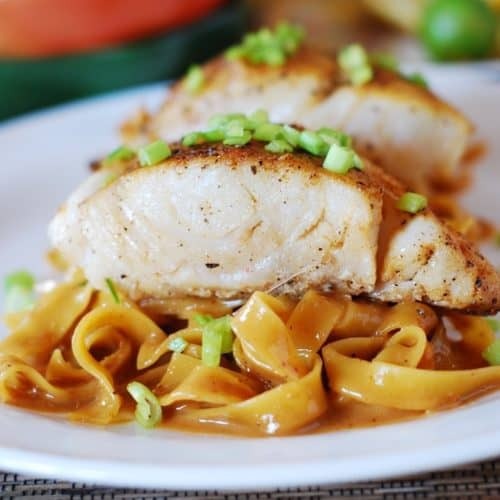 Black cod over fettuccine noodles with the homemade peanut sauce. Does that sound delicious? 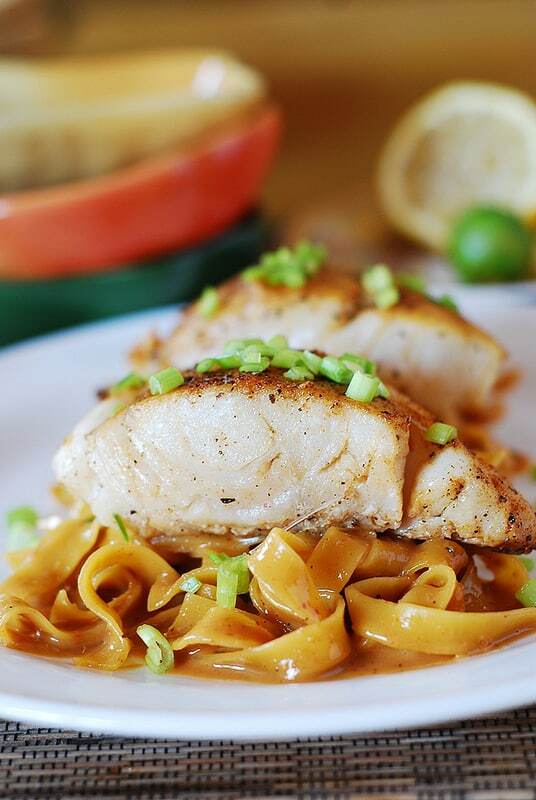 Then, do try this amazingly good Asian fish with peanut sauce noodles. Everything is made from scratch. The peanut sauce here is very simple and is somewhat of a cross between Pad Thai and drunken noodles. 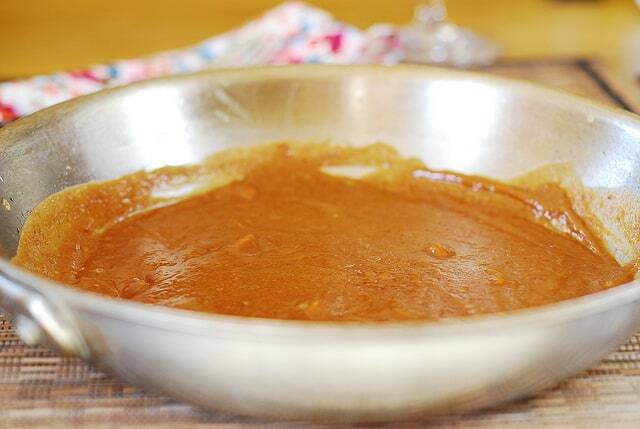 Mix first 4 ingredients for the peanut sauce in a large pan, heat it up on low-medium heat, stirring to melt honey. Then add peanut butter, coconut milk and red curry paste, continuing to stir until very creamy. If it is a little bit watery – that’s fine. Season fish on both sides with salt and pepper. Heat a large skillet on high heat until very hot. Add 2 tablespoons of olive oil – it should sizzle immediately. Add fish fillets to the skillet without crowding them, and sear about 2 minutes on each side. I’ve used black cod but any other white fish will work too. 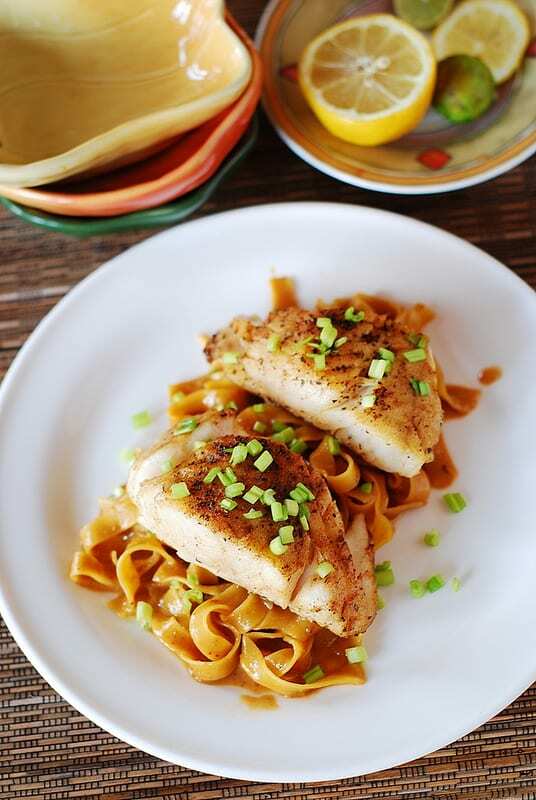 To serve, place a scoop of peanut sauce noodles in the middle of the plate, top with the fish fillet, pour some glaze over, making sure you have enough glaze for other fish fillets. Sprinkle with chopped green onions or chives on top, if desired. Previous Post: « Apple cinnamon crepes, or apple pie – in a crepe! 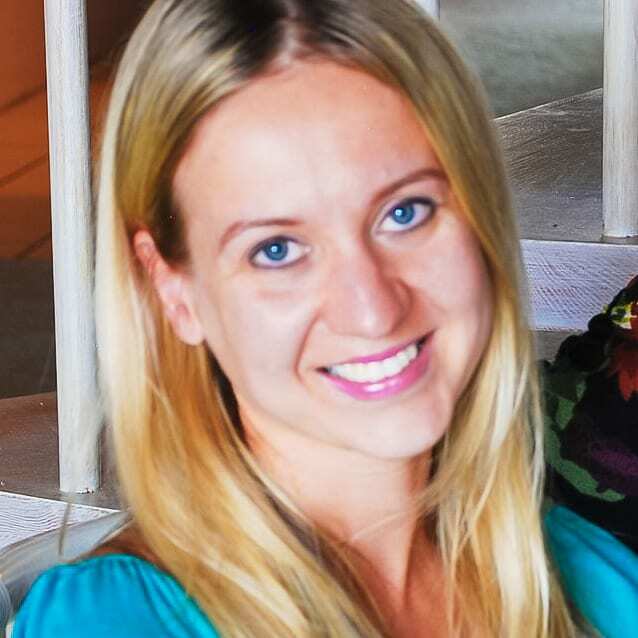 Hi can we use almond butter? Daughter is allergic to peanut butter. Never tried it with almond butter but I love the flavor, and it might work in this recipe! So Salty. Could not eat it.